We are a family run mobile catering business based in Birmingham. 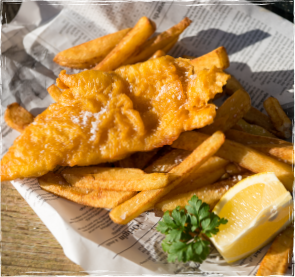 Using fresh ingredients to make super tasty hand cut fries, homemade burgers and proper traditional Fish and Chips. We cater for weddings, corporate events, private parties, and festivals. Choose from a range of dishes for your wedding catering. Our luscious food options are great for your wedding breakfast or evening meal. 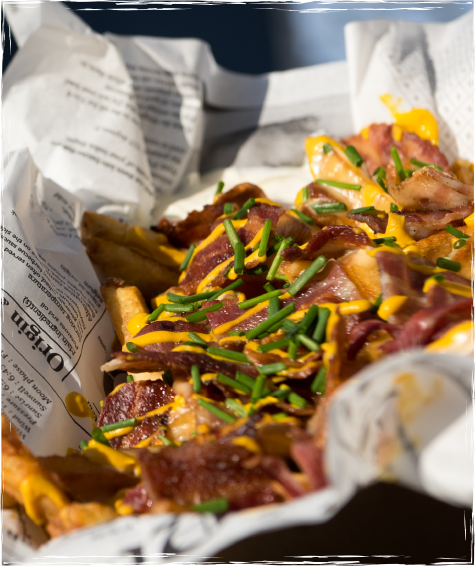 Our rustic, skin on fries and other homemade food make it perfect for all types of private parties. We can cater for birthdays, anniversaries, surprise party and any other gathering. We offer a unique corporate catering experience. Offering flavorful and hearty homemade food, we really go that extra mile for your corporate event. 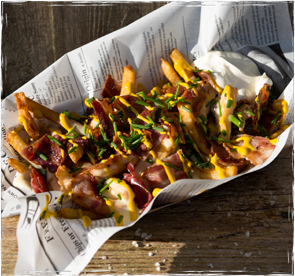 In 2015, Fancy Fries was created by Birmingham based, fries obsessed james Hipkiss. Who got the idea for the business while visiting the many street food vendors and food festivals whilst on holiday in NYC the previous year. 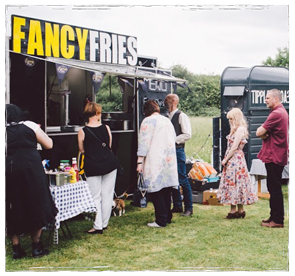 After making a success on the Birmingham street food scene, Fancy Fries then started to cater for corporate clients as well as private events such as weddings and parties. We’re not just passionate about fries, we love all food. So it’s no surprise that all of our dishes are prepared for you fresh on site with the best local ingredients and free range meats. We love what we do and we love knowing that we’ve helped our clients in creating a magical and memorable day that your guests will talk about for a very long time. If you need a quote for a wedding, private party, corporate event then fill in the form below and we will get back to you. I consent to Fancy Fries collecting my details through this form.